Despite the Jharkhand government's unusual "promise" that it would conduct a social audit of its Direct Bank Transfer (DBT) subsidy experiment during the month of March in the Nagri block of Ranchi district, nothing of the sort has happened, with indications emerging that it is dilly-dallying on the issue that is bothering large sections of the deprived people. The promise was made following a Right to Food (RtF) Campaign finding, based on a survey of the DBT experiment, conducted in early February by student volunteers, and coordinated by well-known academic Jean Dreze and researcher Nazar Khalid, that beneficiaries had received only 2 out of 4 months’ DBT money during the preceding four months, and they had spent 12 hours per month withdrawing the money and buying their Public Distribution System (PDS) rations. The survey alarmingly found that an overwhelming majority (97 per cent) of the respondents wanted the DBT experiment to be discontinued in favour of the old system of cheap rice at Re 1 per kg at the ration shop. 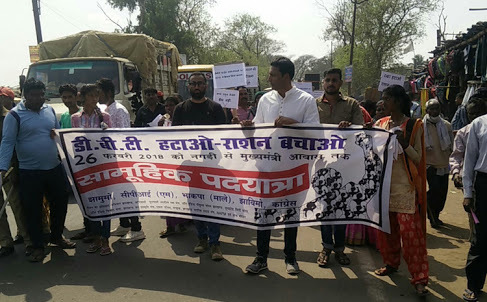 Following the survey, on February 26, thousands of angry residents of Nagri took out a padyatra from Nagri to the Governor’s house in Ranchi, demanding the discontinuation of DBT. RtF says in a note forwarded to Counterview, "Their demands, however, have fallen on deaf ears. 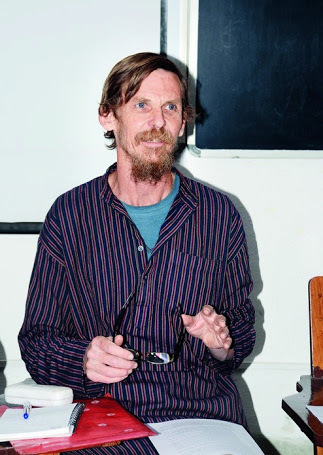 The Jharkhand government got away with a vague promise of conducting a social audit of the Nagri DBT in March. However, this has not happened. As a result, the residents of Nagri continue to face extreme hardships, and many of them are deprived of their food rations." Pointing out that "the worst affected are the most vulnerable – single women, the elderly, and disabled persons -- RtF has demanded that "an immediate discontinuation of the DBT pilot in Nagri, restoration of the earlier system of cheap rice at Re 1 per kg at the ration shop, and compensation for the victims of this illegal and unethical experiment." Situated in the outskirts of Ranchi, capital of Jharkhand, Nagri block was put under pilot project by the Jharkhand government in October 2017 before introducing DBT across the state. Instead of rice at Re 1 per kg at the ration shop, the PDS cardholders began being offered a subsidy (calculated at Rs 31.60 per kg) in their bank account, as they were to buy rice at the ration shop at Rs 32.60 per kg.